E.M. Bridges spent his working life as a specialist in the geography and genesis of soils, and problems of soil degradation. He was born in Fakenham, Norfolk in 1931 and attended the Fakenham Grammar school where he received School and Higher School certificates. As a member of the school’s Air Training Corps, 1361 Squadron, he attained the rank of cadet Flight Sergeant and participated in a visit to Canada as a representative of the Norfolk Wing. Subsequently, with a Norfolk County Scholarship, he obtained the degrees of BSc, from the University of Sheffield, followed by an MSc and a Teaching Diploma. In mid-career he received the degree of a PhD from the University of Wales. He has been a Fellow of the Institute of Professional Soil Scientists, a Fellow of the Royal Geographical Society and a life member of the Geographical Association. He began his career in 1956 as a soil surveyor, working as a research scientist employed by Rothamsted Experimental Station. Stationed in Derbyshire, he completed a soil map and memoir entitled Soils in the area North of Derby and Nottingham. From 1961 he worked for the University of Wales at Swansea where he became a Senior lecturer and Sub-Dean of the Faculty of Science. He was a member of the team investigating pollution and its remedies in the Lower Swansea Valley, at its time a pioneering investigation into land reclamation. During his teaching career, he was invited to give lecture courses in the Universities of Auckland in New Zealand, University of New England at Armidale , Australia, University of Khartoum in Sudan and the University of the West Indies at Trinidad. In 1984, he held a NATO-CCMS Fellowship researching the use of remote sensing in identifying soil pollution. In 1986 he was a visiting scientist with the Commonwealth Scientific and Industrial Research Organisation (CSIRO) at Brisbane in Australia. Dr Bridges was also external examiner for higher degrees (MSc, and PhD.) at several British universities including Birmingham, Reading, St Andrews and Wye College, University of London. A member of the British Society of Soil Science, he served on the Society’s Council for a term of three years, and eventually achieved the title of Fellow of the Society. He joined the staff of the International Soil Reference and Information Centre (ISRIC) in the Netherlands in 1991 to collaborate in work on potential soil gaseous emissions and on the compilation of a soil data set which has been widely used in soil and climatic research. He contributed to the preparation of the World Reference Base for Soil Resources, and co-edited an accompanying Atlas, in a project of the Food and Agriculture Organisation of the United Nations, the International Soil Science Society and ISRIC and prepared a paper for the World Food Summit held in Rome in 1996. He has written over 120 contributions to scientific journals and authored or co-authored eight books including World Soils (3rd Edition, Cambridge University Press), The Soils and Land Use of the Area North of Derby (Soil Survey of England and Wales, Harpenden, 1966), Surveying Derelict Land (Oxford University Press, 1988), Soils of the Mary River Alluvia (CSIRO, 1990), World Geomorphology (Cambridge University Press, 1990), as well as Classic Landforms of the Gower Coast (1987) and Classic Landforms of the North Norfolk Coast (1991 for the Geographical Association - British Geomorphological Research Group of which he was Honorary Secretary for five years. 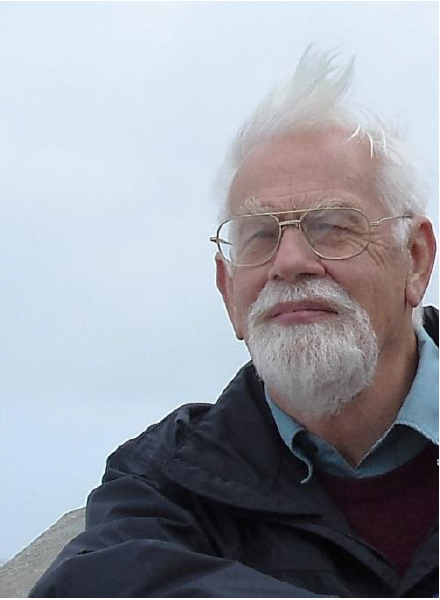 He edited or co-edited nine publications including Principles and Applications of Soil Geography (Longman, 1982) and Response to Land Degradation (Science Publishers, Inc. 2001). After retirement, Dr Bridges returned to live in the Fakenham area in 2000. He was elected a Director of the Fakenham Town Gas Works Museum Trust and subsequently became its Chairman in 2002, continuing until December, 2013. In April 2014 he joined an All Party Group for Industrial Heritage which meets in the Houses of Parliament. Dr Bridges has been a member of the Museums Norfolk Committee and has been a member of Fakenham Probus Club and Fakenham Rotary Club. He has been a member of the Fakenham Society since returning to Fakenham and in March 2015 was elected President of the Society. He was instrumental in bringing together the Museum, the Local History Society and the Community Archive Group under the banner of the Fakenham Heritage Group. In 2014, Fakenham Town Council awarded Dr Bridges a Certificate of Commendation for voluntary work at the Museum. For Fakenham Museum he introduced a publications policy and has compiled a brief account of the Geology of the Fakenham District, a History of the Fakenham Museum of Gas and Local History and other booklets on local history, for example, celebrating the 2013 Centenary of Fakenham’s Queen’s road Schools. A comprehensive review of the town’s history is contained in Fakenham Lancaster (2010, Larks Press). He has lectured to a wide range of groups about local history of the Fakenham district. In commemoration of the outset of World War One, and assisted by Mr Jim Baldwin, he has written Fakenham, Norfolk and World War One 1914-1918 and Gas Works at War.